This month has been totally a wedding planning month for me. The wedding invitations have arrived and I’m prepping them and packing them up, ready to be posted to guests. I have chosen my shoes, co-designed with the fabulous Sarah from Yull Shoes and my accessories appointment is arranged at Isabella Grace, the bridal boutique where I said yes to the dress! 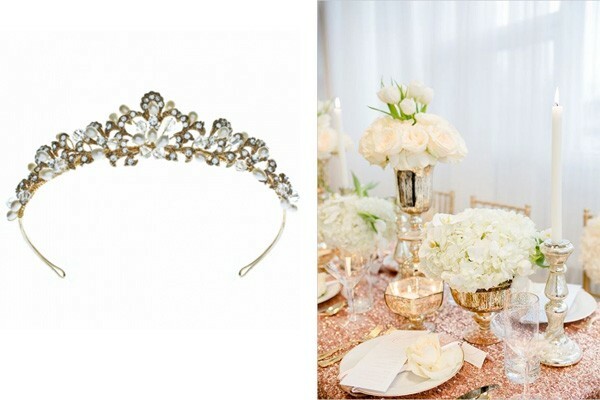 So I thought it apt to browse bridal hair accessories and look at the key trends for 2015 wedding jewellery. These days it’s not just tiaras and veils and even the birdcage veil is getting a little competition. Think bridal halos and flower garlands. I love this rhinestone crystal bohemian bridal halo from Liberty in Love. It’s simple and exquisite without being too sparkly and over the top. If you have a dress that is already sparkling then you might want to add a touch of grace and class with this simple piece without diverting the gaze from your dress. I also think this suits a beach wedding fabulously or a little nod to the 1920’s Gatsby style for town hall nuptials. This season the vintage look has been passed over for a more bohemian feel. 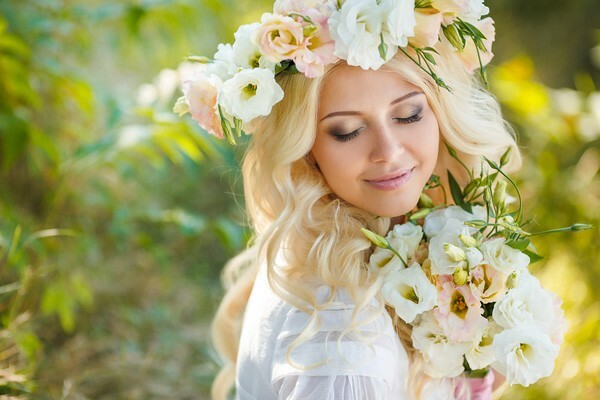 Think rustic looking accessories, flower garlands and a truly feminine feel. At Brides The Show I saw the Secret Garden catwalk presentation. As well as the dresses having a touch of floral to them the accessories did too. You can go big with a flower garland to match your bouquet but I think you have to have the right personality for this and a relatively simple dress. 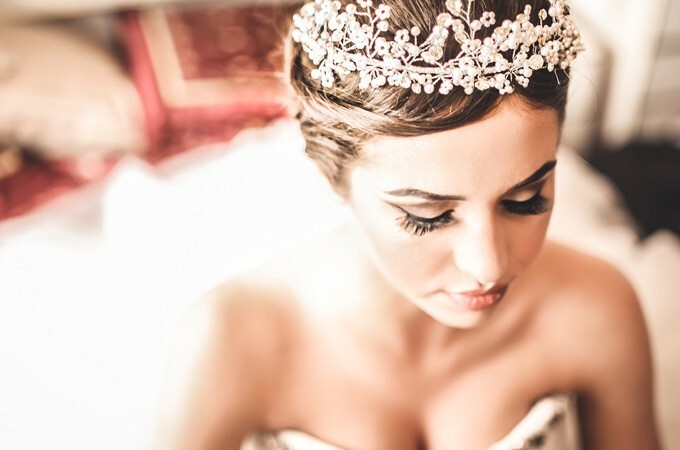 For me, I want the dress to do the talking and bridal hair vines are a great option, A hair vine can be styled into loose hair, a formal updo or into tousled and unstructured bridal hairstyles alike. It’s a headpiece made using fabric, beads, pearls and crystals with fabric or organza ties for a floaty finishing touch. I think this works well if you have a high neckline, sleeves or a one shoulder dress. 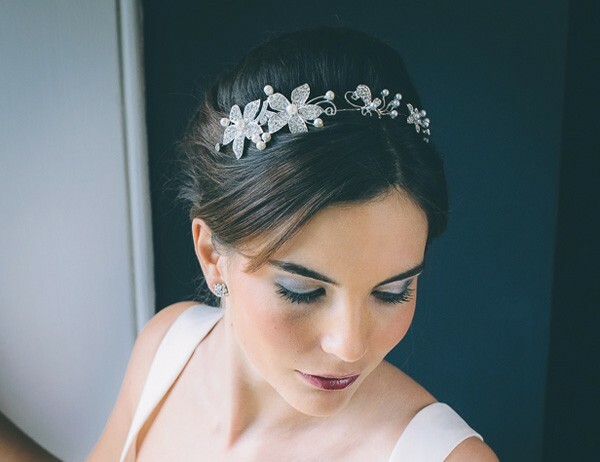 This valentine pearl and crystal hairvine from Blossom.co.uk is just stunning. Of course if vintage is still you’re style then there is plenty of accessories available to suit your wedding style. Deco is still the most sought after look for the 2015 bride and draping is fantastically beautiful for the wedding day. I love this trend because it gives a look so different from your day to day style. Jules Bridal Jewellery has a great selection of wedding headpieces and drapes such as this 1920’s style vintage drape with pearls. 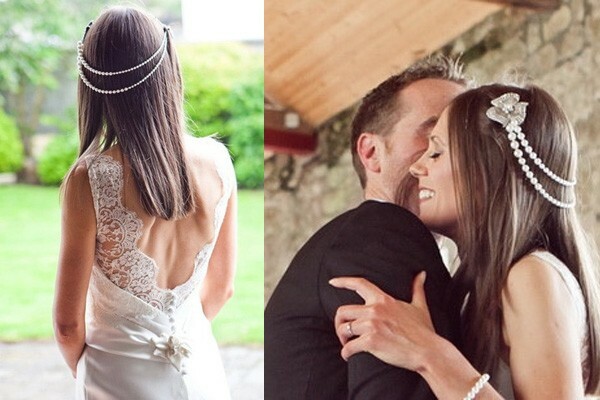 Fantastic if draped at the back to allow the eye line to cast a look at the detail on the back of your wedding dress. Gold is a strong colour choice this season for accessories. Choose tones that compliment your ivory wedding dress, or help define a champagne or blush pink gown. Mix gold with antique detailing in a stunning tiara. The gold helps to balance out what is normally a strong white wedding look. It’s particularly good if your colour scheme for the wedding features sage green, blush pinks and other pastel colours. Don’t mix gold with primary colours, it loses the magic and subtly. Olivier Laudus has a gorgeous Nadia pearl and crystal tiara that combines delicate detail on antique gold in perfect vintage style. You’ll get to see which hair accessories I choose after the big day (sorry that’s not until May 2016! ), when a full wedding outfit will be featured, probably more than once as its such an exciting outfit of the day post to profile. 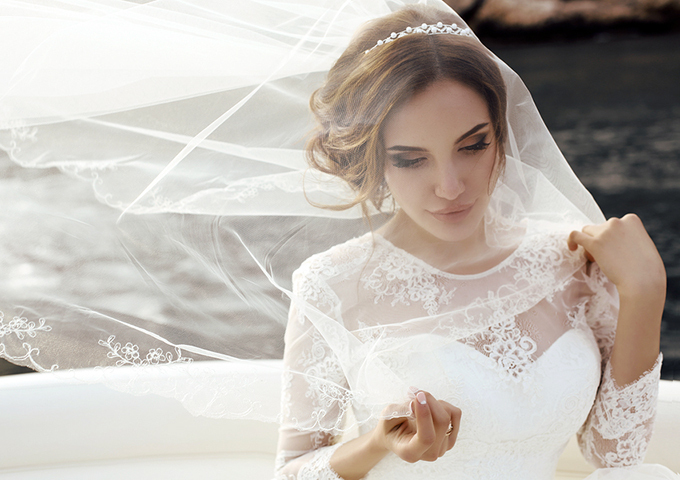 What did you wear in your day for your big day? 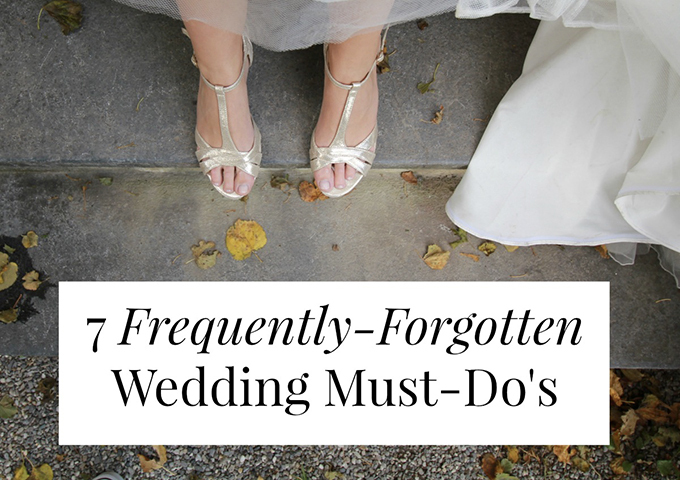 Which wedding accessories do you dream about? Great post! The pearl draping you showed is so elegant.